NEW DELHI: The second edition of India’s largest conclave on Internet of Things (IoT), the IoT India Congress 2017 kick-started its two day event today at the Park Plaza Hotel, Bangalore. IoT India Congress 2017 is the platform of platforms for empowering business outcomes using the Internet of Things. Aruna Sundararajan, Secretary, Ministry of Electronics & Information Technology, Government of India inaugurated the event, which was followed by the formal launch of the Healthcare Live Experience Zone. The two-day session will focus on eight tracks – Healthcare, Manufacturing, Smart Living, Emerging Technologies, Ganga Rejuvenation, Telecom, Standards and Digital Payments & Financial Inclusion along with workshops on topics ranging from inter-device communication using blockchain to Raspberry Pi for IoT applications and essentials of drone flying. More than 80 speakers from various leading companies like GE, Philips, Tata Group, IBM, AT&T Global Network Services, Accenture, Microsoft, Fortis Hospital, Ola, Vodafone, Bharti Airtel, Zoomcar, Hitachi, Bosch etc. will participate in this event and discuss how IoT is changing the landscape of the industry. The Congress will also host the prestigious IoT Thought Leadership Award 2017, where Sri Sri Ravi Shankar, the Founder of Art of Living will be the Special Guest. The IoT Start-Up Awards 2017 will recognise exemplary work done by start-ups in the IoT space. The congress is observed to be the only platform that can readily impact businesses or revenues not only for the entire ecosystem of technology business beginning from chip manufacturers, gateway providers, telecom operators, system integrators, IoT platform and solution providers, but also those segments or user communities who might not yet look at IoT as a business game changer for them. “This edition of the IoT India Congress is showcasing the outstanding application of IoT deployment in various sectors in India. The internet of things is a platform business and instead of working in silos, it requires businesses to come together and integrate ideas and technologies to create the future. With this congress, we aim to break barriers, provide a platform to various players to come together and take back the learning that can further the growth of IoT adoption in India. This time we have multiple tracks and with the inclusion of Argonaut and Healthcare Live sessions, the excitement from participants is endearing. With more sectors and areas being IoT enabled, it is great to see the entire tech community come together on one platform to further the IoT revolution. ” said Shekhar Sanyal, Director and Country Head of the IET. 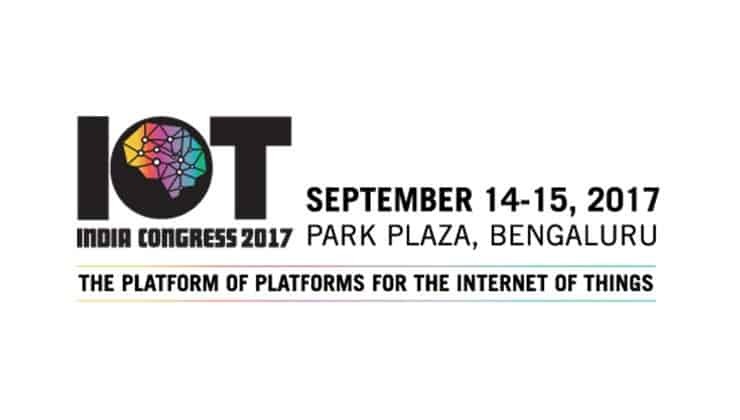 Bangalore hosts second edition of IoT India Congress 2017 0 out of 5 based on 0 ratings. 0 user reviews.